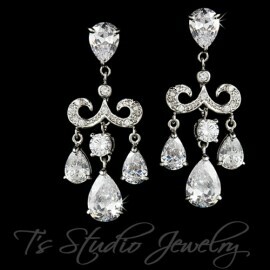 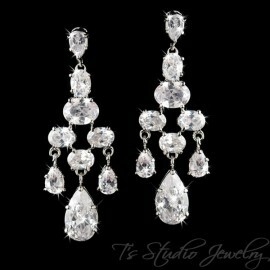 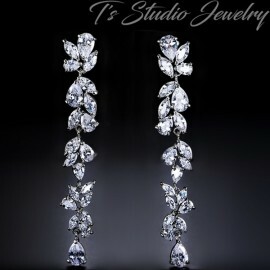 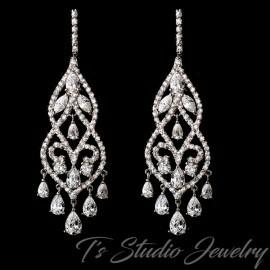 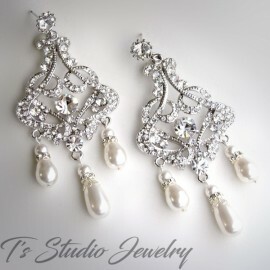 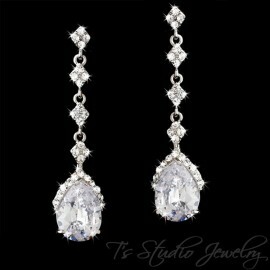 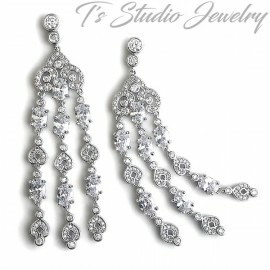 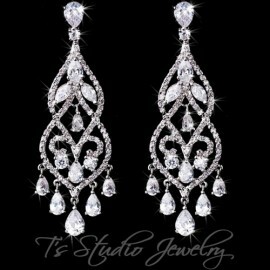 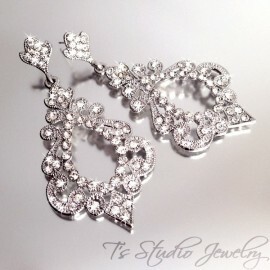 Marquise shaped crystals adorn these romantic bridal chandelier earings, set in a silver base surrounded by tiny rhinestones. 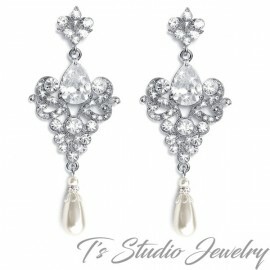 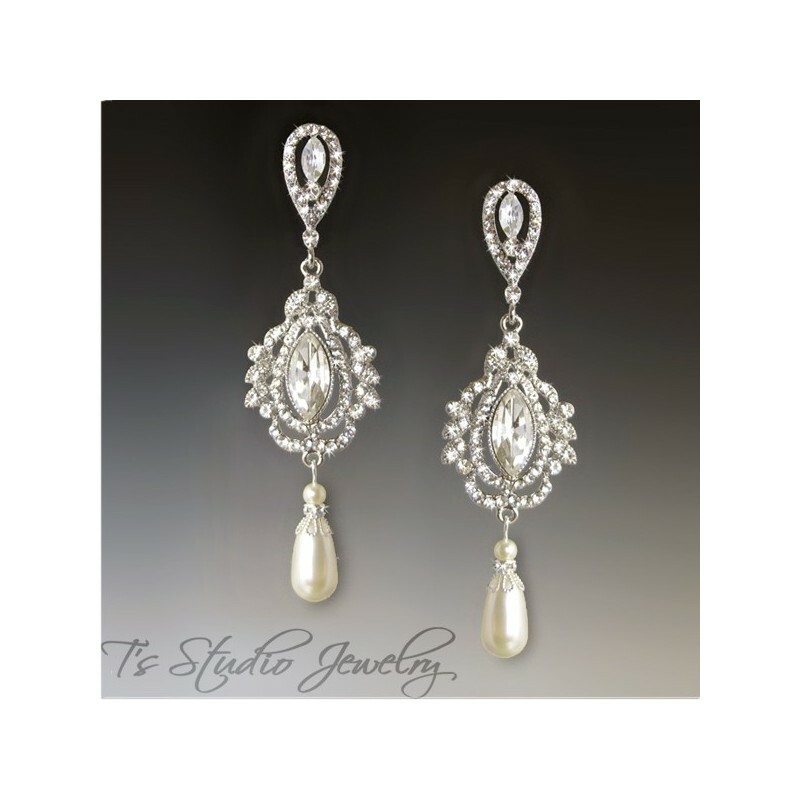 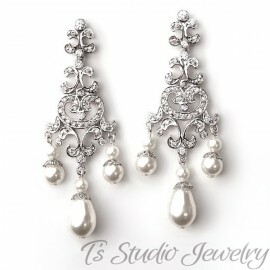 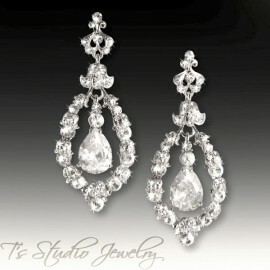 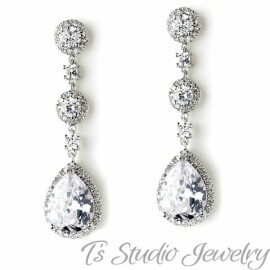 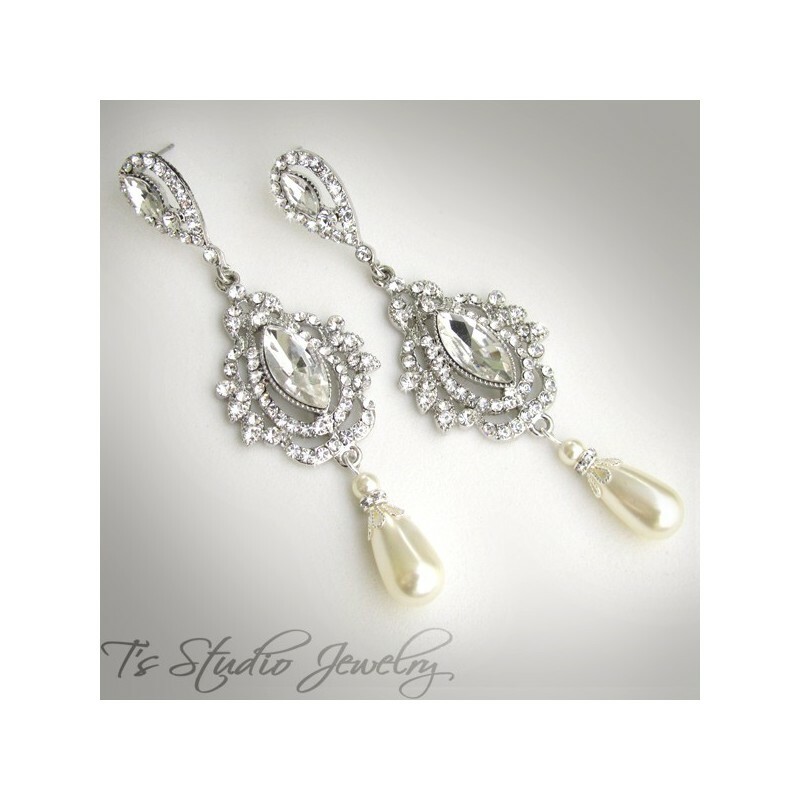 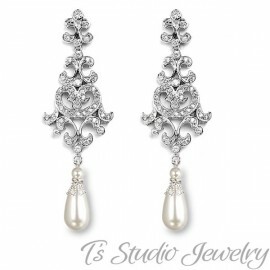 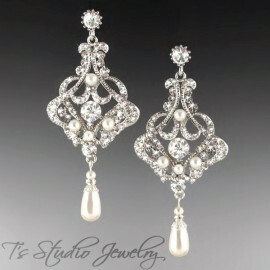 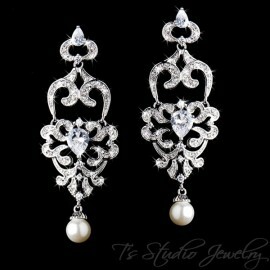 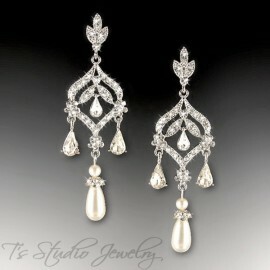 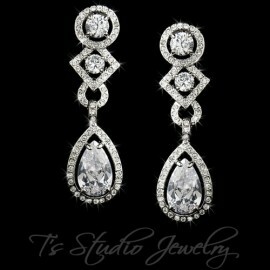 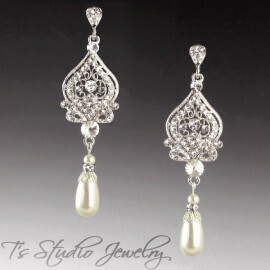 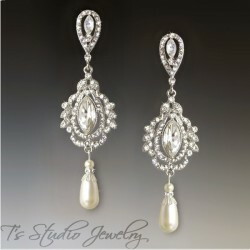 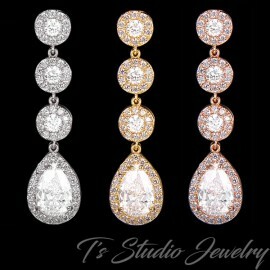 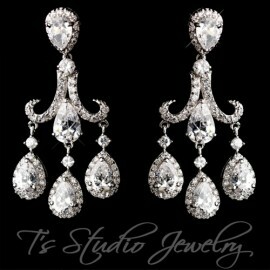 Teardrop shaped pearls are available in ivory, white or champagne. 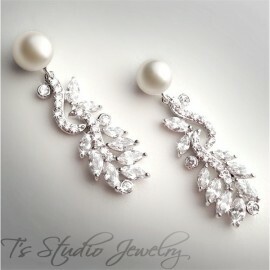 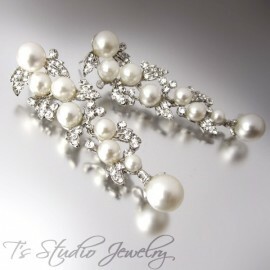 If you would like a pearl color other than white, ivory or champagne, please contact us.